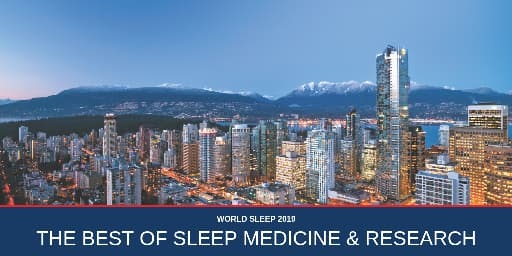 Clocks & Sleep (ISSN 2624-5175) is a peer-reviewed open access journal that investigates a wide range of sleep related topics and is published quarterly online by MDPI. Reliable service: rigorous peer review and professional production. Rapid publication: manuscripts are peer-reviewed and a first decision provided to authors approximately 23.9 days after submission; acceptance to publication is undertaken in 4.2 days (median values for papers published in this journal in the second half of 2018). Extra benefits: no space constraints, no color charges. Excessive daytime sleepiness (EDS) is highly prevalent among medical students and can have serious negative outcomes for both students and their patients. Little is known about the magnitude and predictors of EDS among medical college students. A meta-regression analysis was conducted to achieve [...] Read more. Light, through its non-imaging forming effects, plays a dominant role on a myriad of physiological functions, including the human sleep–wake cycle. The non-image forming effects of light heavily rely on specific properties such as intensity, duration, timing, pattern, and wavelengths. Here, we address [...] Read more. The on-call schedule is a common work arrangement that allows for the continuance of services during periods of low demand or emergencies. Even though 17%–25% of the world’s population participate in on-call work, the human impacts of on-call are generally poorly described in [...] Read more. Sleep and circadian rhythms are regulated across multiple functional, spatial and temporal levels: from genes to networks of coupled neurons and glial cells, to large scale brain dynamics and behaviour. The dynamics at each of these levels are complex and the interaction between [...] Read more. Hospitalized patients frequently have disordered and poor-quality sleep due to a variety of both intrinsic and extrinsic factors. These include frequent nighttime intrusions, insomnia related to pain and unfamiliar environments, dark conditions during the day with loss of natural light, and disruption of [...] Read more. Previous studies have reported a shift in the timing of sleep during adolescence toward a later time. To date, it is unclear whether hormonal changes during puberty might contribute to this change in sleeping behavior. We systematically assessed pubertal development and sleep timing [...] Read more. This study aimed at examining potential associations of mid sleep timing (chronotype) and social jetlag with intake of alcohol and caffeine, depressive symptoms, and body mass index (BMI) in a sample of healthy young women. Furthermore, it was explored whether these behavioral sleep–wake [...] Read more. Snoring may be an important predictor of sleep-disordered breathing. Factors related to snoring among First Nations people are not well understood in a population with high rates of smoking and excess body weight. An interviewer-administered survey was conducted among 874 individual participants from [...] Read more. Natural daylight exposures in arctic regions vary substantially across seasons. Negative consequences have been observed in self-reports of sleep and daytime functions during the winter but have rarely been studied in detail. The focus of the present study set out to investigate sleep [...] Read more. Our understanding of non-rapid eye movement (NREM) parasomnias has improved considerably over the last two decades, with research that characterises and explores the causes of these disorders. However, our understanding is far from complete. The aim of this paper is to provide an [...] Read more. MicroRNAs (miRNAs) are small, abundant, non-coding RNA fragments that regulate gene expression and silencing at the post-transcriptional level. The miRNAs each control various downstream targets and play established roles in different biological processes. Given that miRNAs were recently proposed to contribute to the [...] Read more. The interplay between the circadian system and metabolism may give animals an evolutionary advantage by allowing them to anticipate food availability at specific times of the day. Physiological adaptation to feeding time allows investigation of animal parameters and comparison of food anticipation between [...] Read more. Scale-free analysis of brain activity reveals a complexity of synchronous neuronal firing which is different from that assessed using classic rhythmic quantifications such as spectral analysis of the electroencephalogram (EEG). In humans, scale-free activity of the EEG depends on the behavioral state and [...] Read more. Night shift work is associated with risk of overweight and obesity. In night shift workers, short sleep duration combined with circadian misalignment may contribute to altered food intake regulation, favoring positive energy balance and weight gain. Prior work investigating food intake in shift [...] Read more. The circadian clock is comprised of two oscillators that independently track sunset (evening) and sunrise (morning), though little is known about how light responses differ in each. Here, we quantified the morning oscillator’s responses to 19 separate pulse trains, collecting observations from over [...] Read more. Excessive daytime sleepiness (EDS) is the tendency to sleep at inappropriate times during the day. It can interfere with day-to-day activities and lead to several health issues. The objective of this study was to investigate the association between income, housing conditions, and incidence [...] Read more. Previous research has found that elite athletes have insufficient sleep, yet the specific kinds of sleep disturbances occurring as compared to a control group are limited. Here we compare the subjective sleep quality and chronotype of elite athletes to a control group of [...] Read more. Exciting new discoveries in the circadian and sleep field have mushroomed in the past 10 years, culminating in the 2017 Nobel Prize in Physiology or Medicine being awarded to Jeffrey C. Hall, Michael Rosbash, and MichaelW. Young for their discoveries of molecular mechanisms [...] Read more.